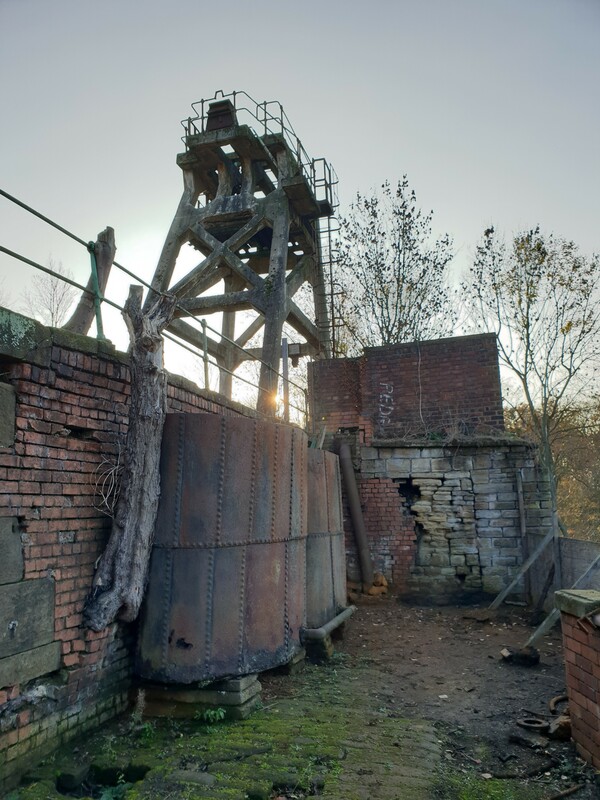 The Friends of Hemingfield Colliery arrived on site bright and early on Saturday morning; unlike the less than sparkling cloud bank and damp air. Still, the crew were on site and ready to get on with a good days’s work, and at least it wasn’t raining. After opening the gates, Site Manager Glen welcomed regular volunteers Chris and Paul, joined by Andy and Keith. 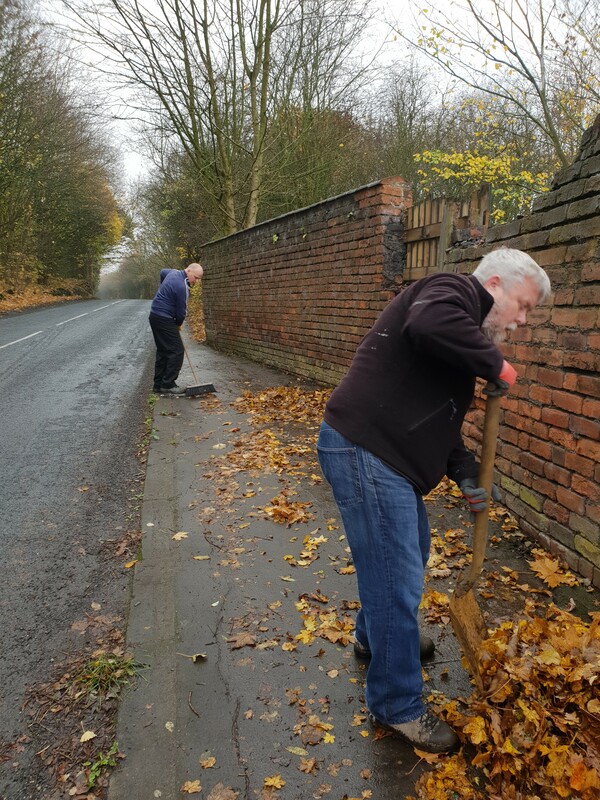 Andy made a mark going litter-picking from Tingle Bridge level crossing up to the pit gates on Wath Road. and after. It looks neat, and no danger of the pit itself falling victim to ‘the wrong kind of leaf’. Even still, the pit continues to suffer from the wrong kind of visitor; further criminal damage to the outside wall was evident. 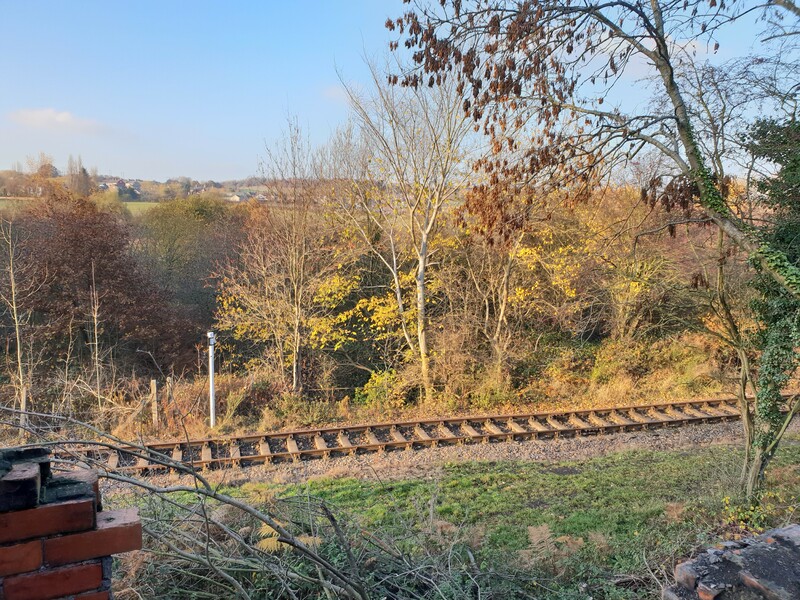 As a site maintained by volunteers, the mindless damage is dispiriting, although ultimately it says rather more about the perpetrator than it does the positive contributions being made by the group. This issue will coninue oto be addressed as clearly we take site security, and the safety of structures very seriously. 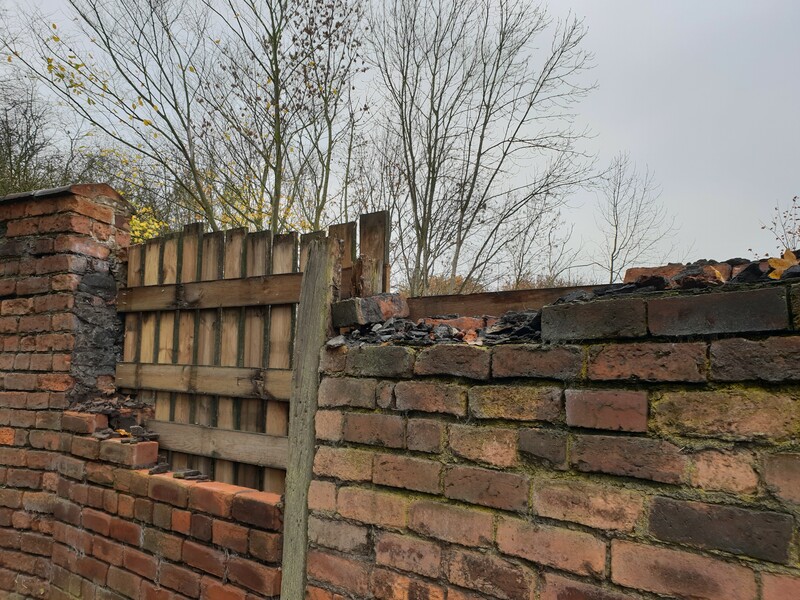 Equally the damage to heritage features such as the wall is something we are looking for assistance to address – bricklaying, stone work, any practical skills are most welcome on site! 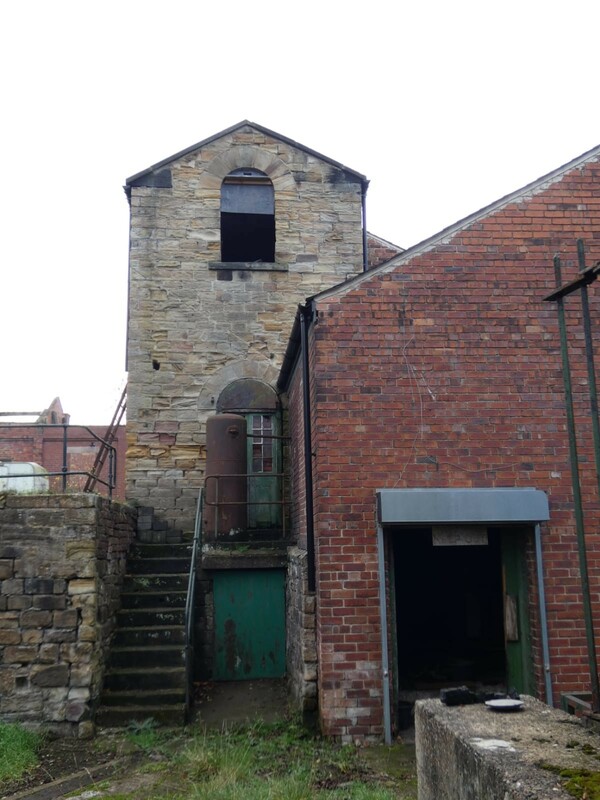 Thoughtlessness aside, the day was actually a very active and productive one, after cleaning up outside, the crew started tidying the ground in front of the winding engine house. Levelling the ground, backfilling small holes, and evening out strip along the front of the building was a task we have been wanting to get back to for quite some time. Establishing clear and even pathways around the site is an important part of enabling and sutaining tours and accessibility on site. It also gave us chance to check the guttering added last winter, and prepare it for the wet weather in the winter ahead. 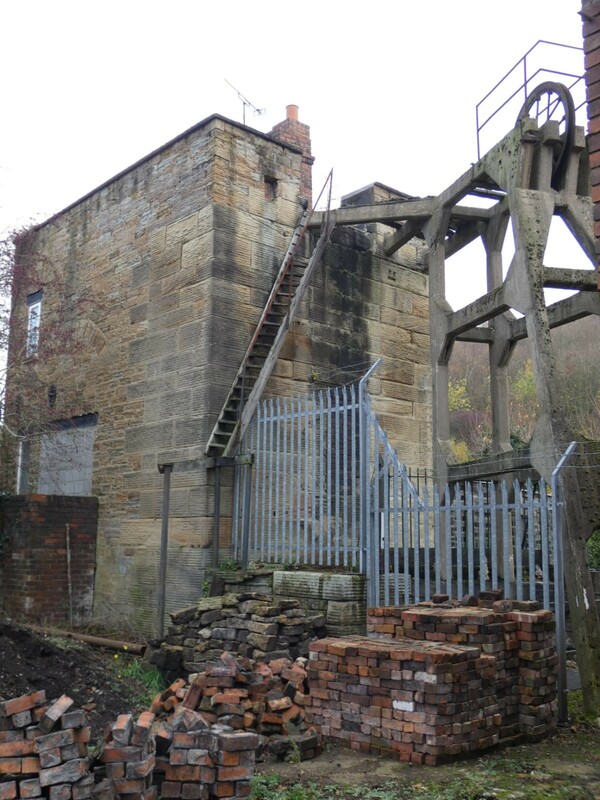 After digging divets, shovelling and levelling the area in front of the winding engine house looked a lot neater. Pausing for a well-earned lunch, the crew discussed how the year had panned out; some exciting developments in hand for next year as we arrange a programme of activities and see what our friends ang local partners are planning for Christmas and the new year. Despite the greyness, the autumn sun strived to shine, and everyone’s eyes were raised upwards as the silhouettes of local birds swooped across the treeline. Over the valley to Hemingfield a large heron circled over a farmer’s field and delivered what could only be described as a bumper harvest from its canalside feeding. Not ones to be easily put-off, the Friends and volunteers returned undeterred to their sandwiches and flasks of hot tea. 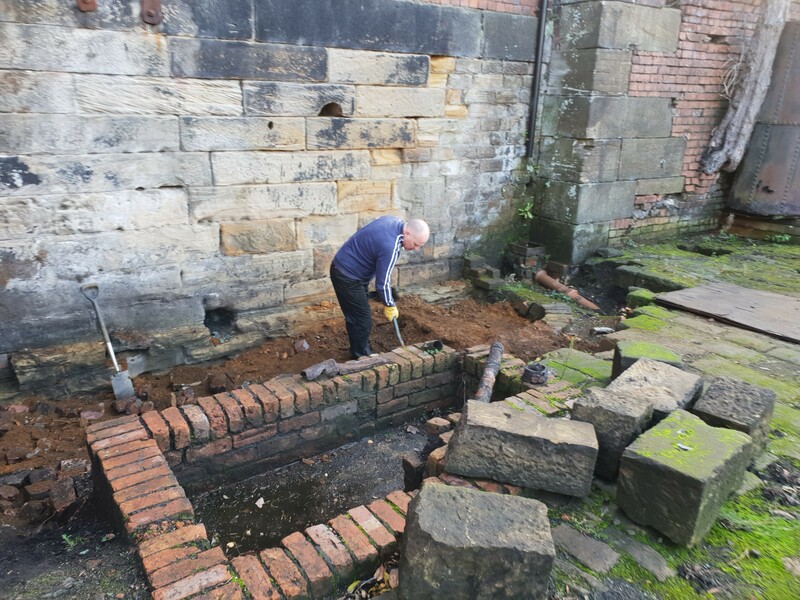 Victuals consumed, the crew determined to continue efforts from previous weeks of filling in the trench at the rear of the winding engine house. 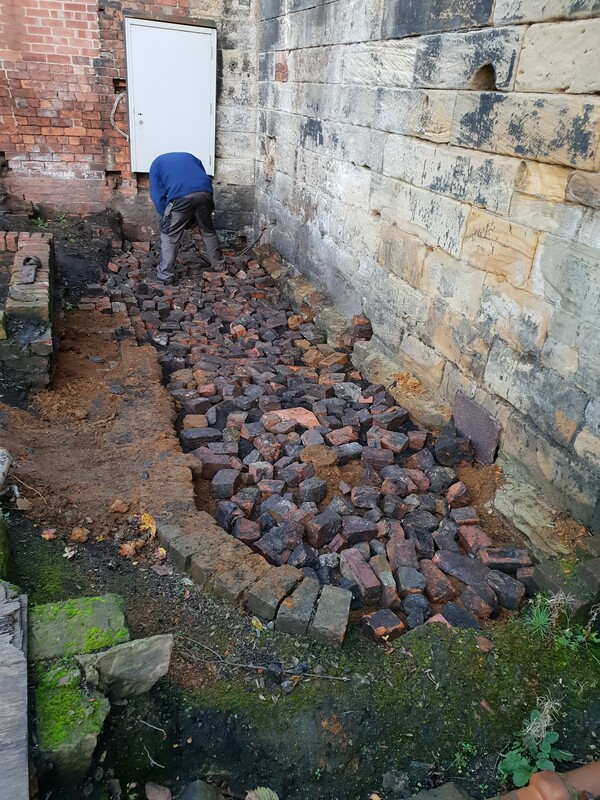 In a neat effort to return to a working floor surface at the lower terrace, the barrows came to the fore as we returned the excavated earth and rubble from whence it came.